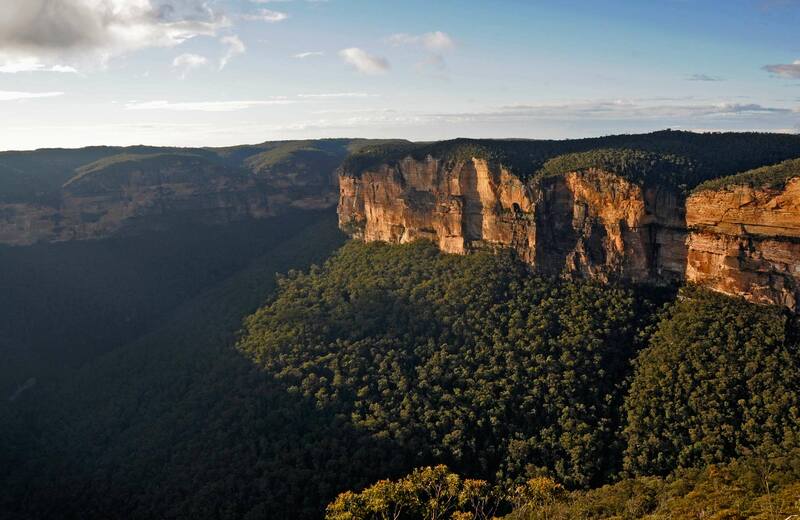 Visit Myanba Gorge lookout for a short walk, picnicking and scenic views in South East Forests National Park. You can find this great waterfall walk near Eden and Bombala. With scenic Bega views, this NSW south coast lookout is in South East Forests National Park. Stop on Myrtle Mountain to sightsee or picnic en route to Eden or Candelo. A good place to stop for a picnic, but Pipers lookout in South East Forest National Park also features stunning views – take the easy boardwalk to see for yourself. You’ll find White Rock River picnic area near Bombala. This picnic spot is great for a barbecue and the area protects the endangered long-footed potoroo. Combine a barbecue with birdwatching at Goodenia Rainforest picnic area, near Merimbula. The easy Goodenia Rainforest walk starts from this scenic picnic area. Located near both Bega and Bombala on the NSW south coast, Waalimma picnic area in South East Forests National Park is great for birdwatching, bushwalking and camping. Go to South East Forests National Park near both Nimmitabel and Bombala for a day walk through the Far South Coast hinterland. Go birdwatching or camping at Alexanders Hut. If you’re birdwatching or walking with children, try the Goodenia Rainforest walking track. This short nature walk is located near Merimbula on NSW’s far south coast. Myanba Gorge walking track is a short walk near Bombala with wheelchair-friendly access to the first lookout. It’s great spot for birdwatching and an idyllic place for a picnic. Pheasants Peak walking track is a short, yet challenging walk near Bombala, which meanders through old growth forest with spectacular views from the summit.